Russian scholar; born at Berdychev May 5, 1866; educated at the rabbinical seminary of Israel Hildesheimer, Berlin (1880), at Hamburg, Riga, Berlin University (philosophy, Oriental languages, political economy; Ph.D.), at the Berlin Hochschule für die Wissenschaft des Judenthums (theology), and at the Sorbonne and the Ecole des Sciences Politiques, Paris, whither he went in 1887. In 1893 he became acting rabbi of the congregation at Frankfort-on-the-Oder, and in the same year (Sept.) succeeded S. I. Kämpf as rabbi of the Tempelgemeinde at Prague. From 1897 to 1900 he was rabbi at Esseg, Slavonia, and in 1901 went to Vienna, where he became preacher, secretary of the Israelitische Allianz, and lecturer at the bet ha-midrash. 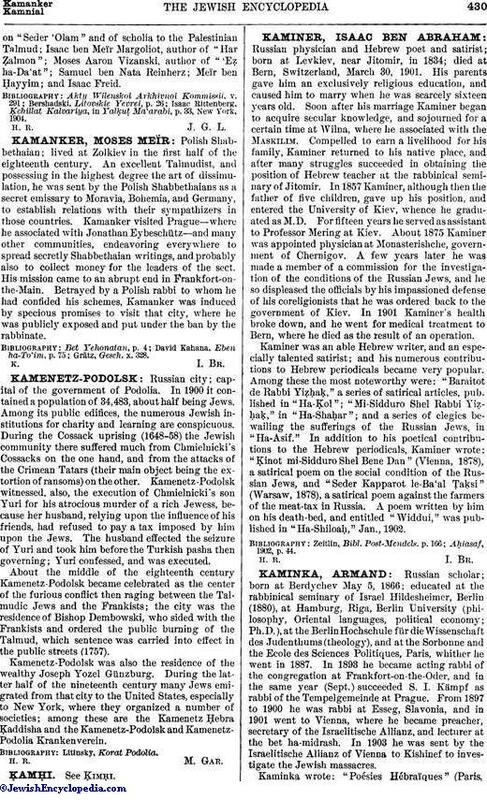 In 1903 he was sent by the Israelitische Allianz of Vienna to Kishinef to investigate the Jewish massacres. Kaminka wrote: "Poésies Hébraïques" (Paris,1888); "Studien zur Gesch. Galiläas" (Berlin, 1890); "Die Geonim und Ihre Schriften" (Treves, 1892); "Die Litteratur der Geonäischen Zeit, 638-1038" (Treves, 1894); "Der Diwân des Salomo Bonfed" (1894); "Kritische Ausgabe des Tachkemoni von Alcharisi" (1899). 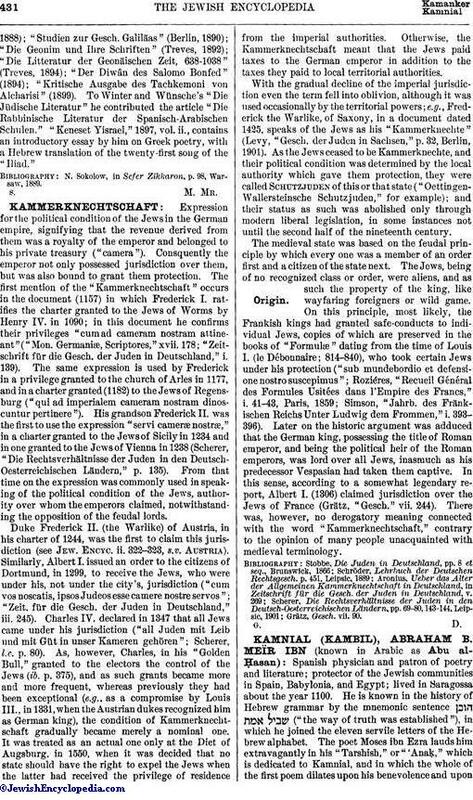 To Winter and Wünsche's "Die Jüdische Literatur" he contributed the article "Die Rabbinische Literatur der Spanisch-Arabischen Schulen." "Keneset Yisrael," 1897, vol. ii., contains an introductory essay by him on Greek poetry, with a Hebrew translation of the twenty-first song of the "Iliad." N. Sokolow, in Sefer Zikkaron, p. 98, Warsaw, 1889.